TTV Dhinakaran, who has been ousted from the AIADMK and is V K Sasikala's nephew, has a sharp tongue. The saving grace is when he criticises his opponents in election rallies he doesn't refer to them by their names but uses pseudonyms. He addresses Tamil Nadu Chief Minister Edappadi K Palaniswami as 'Tyagi' (sacrificer) and his faction of the AIADMK as Tyagi & Company. 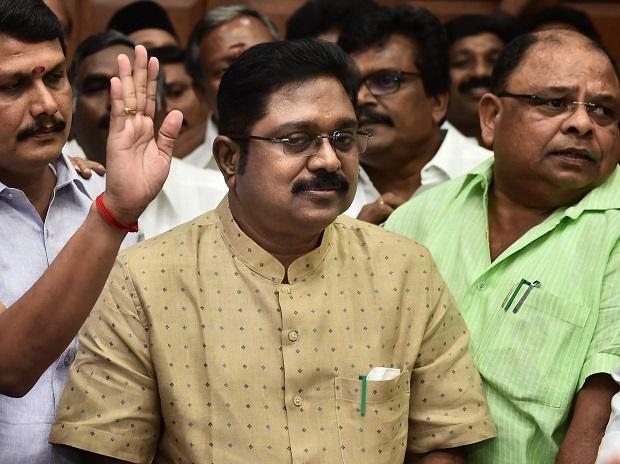 Palaniswami's deputy, O Panneerselvam, is 'Mr Dharma Yuddham'; minister Rajendra Balaji is 'Manthiravadhi' (black magic specialist); the DMDK treasurer and Vijaykanth's wife is named after a recent Rajinikanth horror movie Chandramukhi; and BJP leader and Union Minister of State for Finance and Shipping Pon Radhakrishnan is referred to as 'Bayilvan' (wrestler). State ministers Velumani and Thangamani, who are close aides of Palaniswami, are referred to as "tender" ministers. The Trinamool is set to approach the Election Commission (EC) with a rare request. Usually, each EVM, or electronic voting machine, has space for 16 buttons, with the bottom most being "none of the above", or NOTA. However, in the Darjeeling Lok Sabha constituency, the NOTA is the 17th button, that is, the topmost button on the second EVM machine in a booth. The Trinamool argues this would confuse voters as there is nothing above the "none of the above" button (and nothing below it as the constituency has 16 candidates) and wants the EC to make it the last button on the second machine. The Trinamool thinks of itself as a national party, which is strong in one region. It also believes it would be one of the top three parties in the next Lok Sabha and a key player in the next government. On Tuesday, party leader Derek O'Brien (pictured) addressed a press conference in New Delhi, his first this election season in the capital. O'Brien, who is more fluent in English and Bengali, addressed the press conference almost entirely in Hindi to underscore his party's ambition to play a more central role in national politics in the months to come. He said he would hold more press conferences in the next few weeks and speak increasingly in Hindi.